The Pro-Shot Lead Cleaning Cloth removes leading, carbon residue, burn rings, surface rust, plastic fouling, and tarnish to restore original luster. 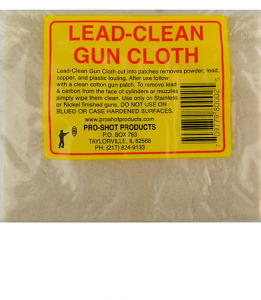 Excellent for use on Stainless Steel finish firearms. Not to be used on blued finishes.